We're no stranger to gruesome injuries from sport over the years as we've lost count of the number of times we've seen severe lacerations and broken limbs from incidents on the pitch. 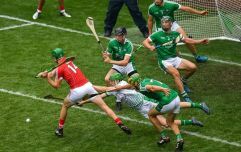 A recent report compiled in the Irish Medical Journal investigated a particularly nasty hand injury obtained during a game of hurling in May last year. A 24-year-old man was playing for his local club in league match when he attempted to catch a ball during play. 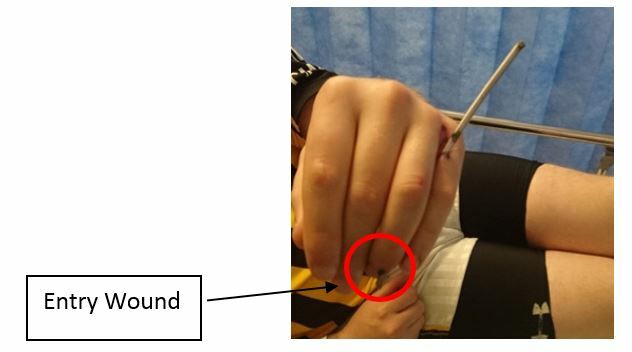 In the process his hand struck the helmet of an opposing player and due to the modifications of the opposing player’s helmet (single bar removed leaving a sharp remnant in its place) the player was left with a serious injury with a metal bar impaled through both his baby finger and his ring finger. The bar went in through the nail bed of his ring finger and exited through his baby finger on his dominant hand. The patient attended Midlands Regional hospital in Tullamore where the helmet was removed, leaving just the metal bar impaled on his hand. 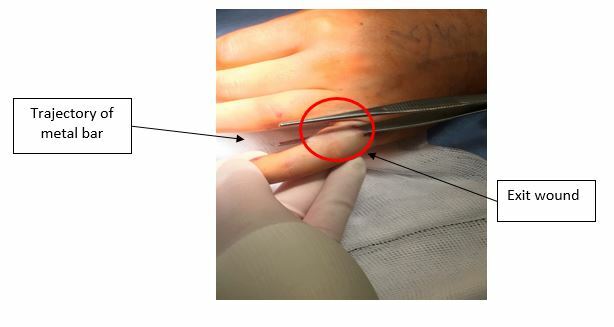 He underwent surgery to remove the bar and investigate potential nerve damage on the area, while nail-bed repair on the ring finger was also performed. All's well that ends well as routine post-operative elevation and antibiotic protocols were instituted and the young man was discharged after 24 hours. He returned to sports four weeks after the injury once his wounds had healed. 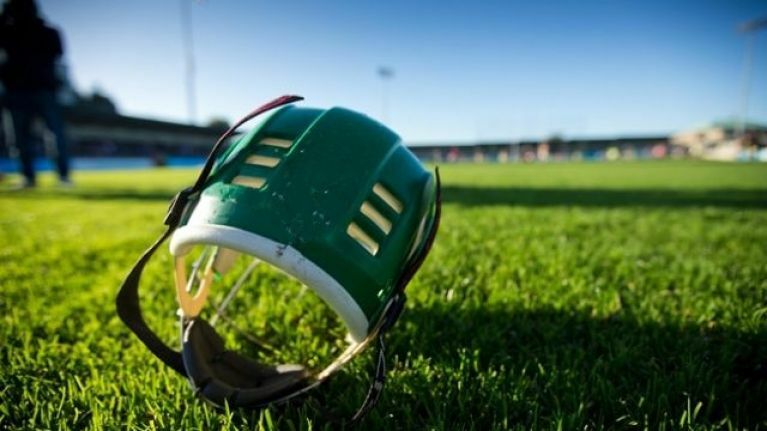 The Irish Medical Journal stated that while injuries as a direct result of helmet modification were rare, they wanted to highlight the dangers of this practice to raise awareness among players and officials and to effect a change in the modification practice.